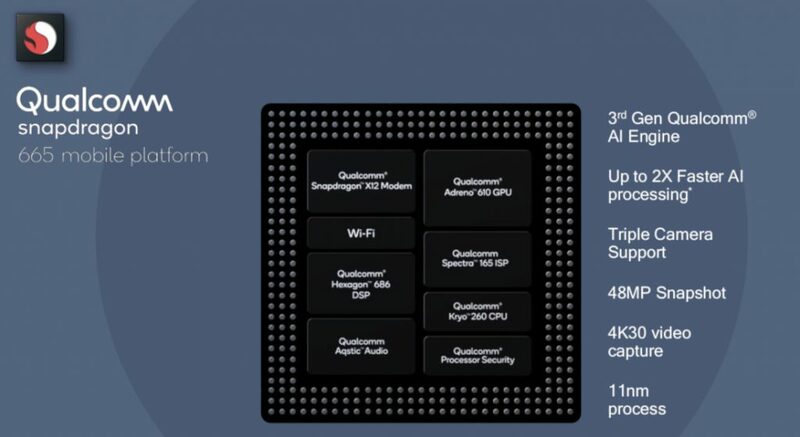 Qualcomm has launched Snapdragon 730 and 730G 8nm and 665 11nm Mobile Platforms. 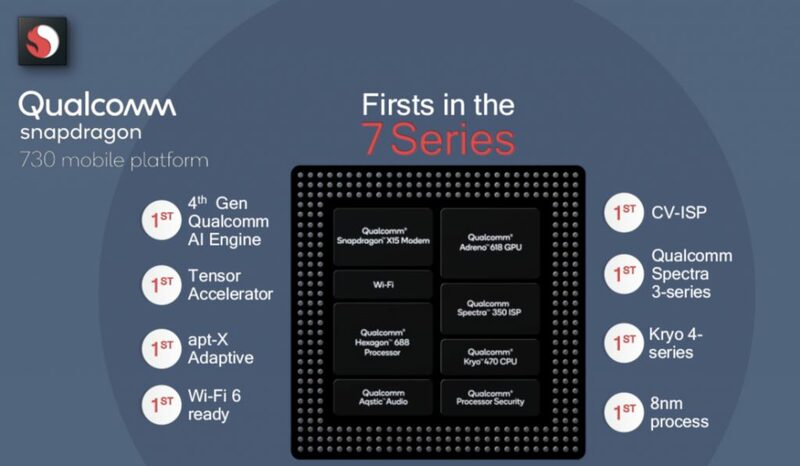 Snapdragon 730 includes 4th generation multi-core Qualcomm AI Engine for 2x faster AI on-device processing compared to Snapdragon 710. Up to 15% faster graphics rendering over the Snapdragon 730, featuring an overclocked Adreno 618 GPU. Snapdragon 665 11nm Mobile Platform supports the 3rd generation Qualcomm AI Engine, features Hexagon 686 DSP, with the addition of HVX, to enable advanced AI mobile experiences, offers up to 2x faster AI on-device processing compared to Snapdragon 660, Spectra 165 ISP brings intuitive scene recognition and auto adjustments like HDR, advanced camera features including Hybrid Autofocus, Optical Zoom and more. 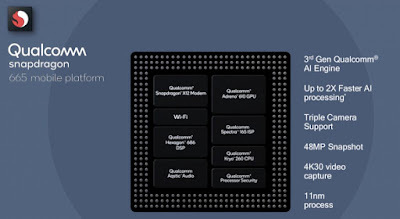 It has Kryo 260 CPU, Adreno 610 GPU and X12 LTE Modem. Commercial devices based on Snapdragon 730, 730G and 665 are expected to be available in mid-2019.